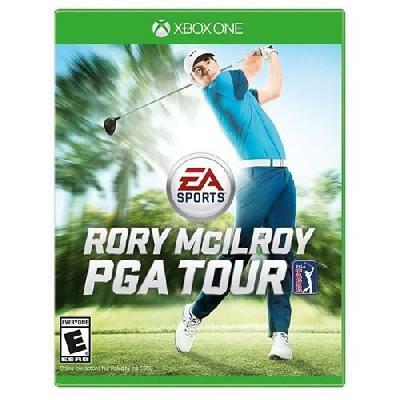 Electronic Arts Sports: Rory M..
Rory Mcilroy Pga Tour - Xbox O..
EA SPORTS Rory McIlroy PGA TOU.. Golf Wide Open: Break free from what you think a golf game can be. Frostbite creates a new world, where you experience every detail - breathing life into the courses, players and crowds in ways you've never seen before. All this, with no load times between holes or interruptions in the action. Allowing you to enjoy your game the way you want. Golf Your Way: Hit the perfect shot and golf your way with three unique swing mechanics and fully customizable gameplay styles. Golf With Personality: Take a step off the traditional cart path and play with big personalities on even BIGGER Fantasy Courses. Golf without limits in EA SPORTS Rory McIlroy PGA TOUR! Usher in the next generation of golf with the power of the Frostbite engine and play the most beautiful sports game to date with no load times, enabling you to explore authentic tournament courses or unique fantasy environments. Don’t just play the course, explore it!